The 2018 iPhone offerings supposedly will include these 6.5- and 6.1-inch models. Hopefully, a behind-the-screens feature will make them faster. 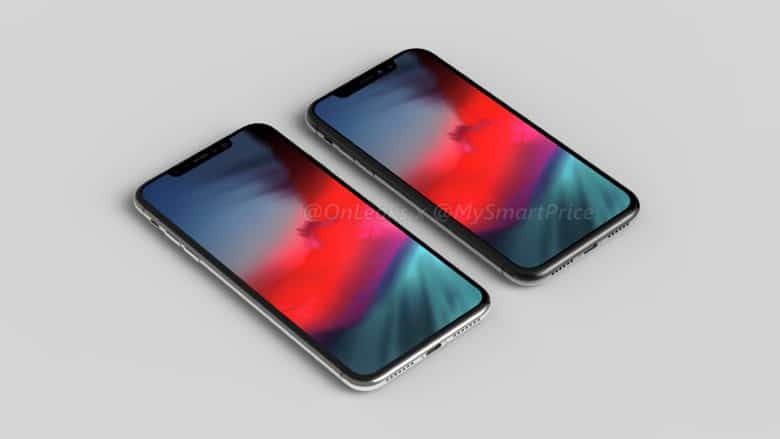 The 2018 iPhone models are rumored to have larger screens, better processors, and other enhancements. But there’s one feature that, even though we’ve heard nothing about it, we should strongly hope is in Apple’s next smartphones: 4×4 MIMO. This is a cellular wireless data technology that gives the Samsung Galaxy S9 a substantial speed advantage over the iPhone X.
MIMO stands for Multiple-Input and Multiple-Output, and the 4×4 version uses four antenna ports to transmit and receive data. Typical LTE models have two antennas. It doesn’t take a rocket surgeon to understand that double the number of antennas simultaneously sending and receiving data leads to quicker connections. Because the Galaxy S9 has 4×4 MIMO, it’s consistently faster than the iPhone X. 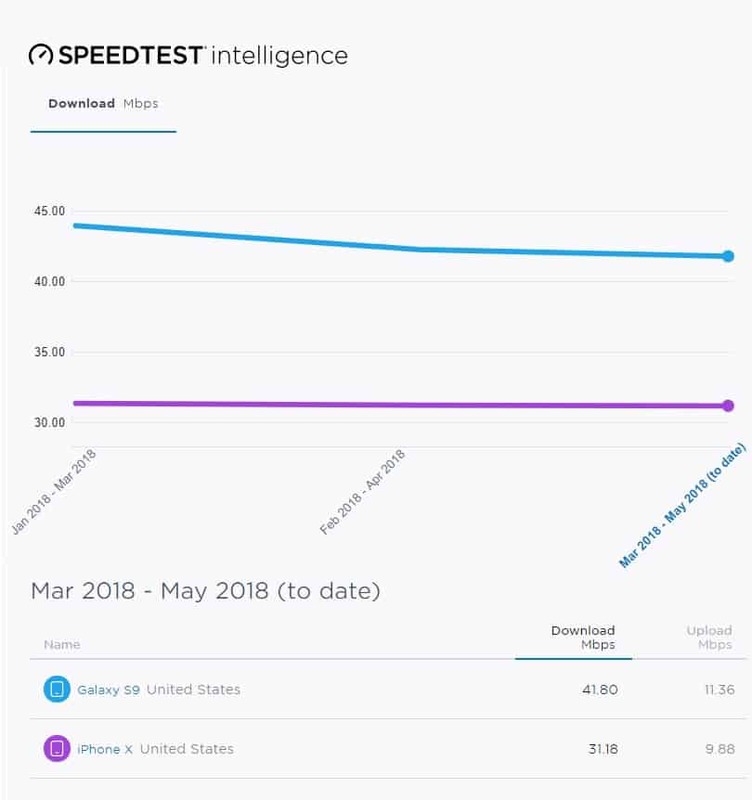 This was demonstrated by Ookla’s Speedtest Intelligence, which consistently found that the Galaxy S9 outperformed the iPhone X. 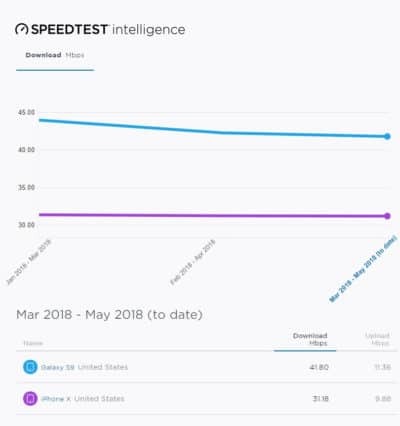 In download speeds, Samsung’s new flagship phone scored between 49Mbps and 43Mbps in download speeds, while Apple’s top model stayed at 32Mbps. In uploads, the S9 was at 11.3Mbps and the iPhone at 9.9Mbps. 4×4 MIMO is part of LTE-Advanced, and it’s offered by Verizon, T-Mobile, and AT&T. Sprint is deploying it this year. The Qualcomm Snapdragon X16 modem used in some iPhone X units dates from 2016 and has only limited support for 4×4 MIMO. The same is true of the Intel XMM 7480 model in the rest of the iPhone X line. Hopefully, Apple will use newer modems in the 2018 iPhone models with robust 4×4 MIMO support. This will bring them into parity with their top rivals.